The survey was conducted as part of celebrations to mark this year's International Happiness Day, Wednesday. Zimbabwe just missed out on the top ten least happy countries by just 0.236 points ahead of Haiti, Botswana, Syria, Malawi, Yemen, Rwanda, Tanzania, Afghanistan, Central African Republic and South Sudan which rank as the worst. The survey uses six variables to explain the variation of happiness across countries that include a country's GDP per capita, social support, healthy life expectancy, freedom, generosity and an absence of corruption. "It's a day to be happy, of course! Since 2013, the United Nations has celebrated the International Day of Happiness as a way to recognise the importance of happiness in the lives of people around the world. "In 2015, the UN launched the 17 Sustainable Development Goals that seek to end poverty, reduce inequality and protect our planet - three key aspects that lead to well-being and happiness," said the UN. According to the report which uses data from 2016 to 2018 Zimbabweans' unhappiness comes from government's continued failure to provide basic social support services to a greater extent. A low GPD per capita is also of great concern, followed by a low healthy life expectancy, freedom and lastly the high presence of corruption within the southern African country. In the region, Zimbabweans are the third unhappiest citizens after Botswana and Malawi. Celebrated since 2013, International Happiness Day seeks to promote efforts towards ending poverty, reducing inequality and protecting the planet, leading to well-being and happiness. 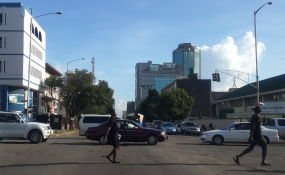 Zimbabwe has for nearly two decades battled an economic and political crisis that has on occasion threatened to blow into full blown civil strife. The Zanu PF led government has been accused of failure to respect human rights, with tensions consistently heightening towards and after every election cycle characterised by disappearances, murders as well as state sponsored violence according to democracy activists. Social services failure and rampant corruption also characterise the Zimbabwean situation.